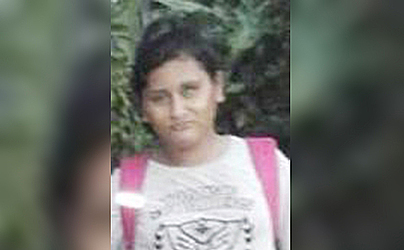 The Ministry of Police is investigating the disappearance of a 15-year-old girl, Elisapeta Sua, from Tuanaimato. This is according to a public notice issued by the Police yesterday afternoon. The young lady went missing on Sunday 13 May, 2018, around 1 - 2pm from her grandparents’ home at Se’ese’e. She was last seen wearing a short sleeve t-shirt and a red ie lavalava. Police are appealing to anyone who has seen her or has any information that may lead to her location to please contact any nearest Police Station or call phone number 22222 immediately.